Why a Peace of Mind Service Agreement? $200 Credit Toward NEW System Bonus! Our maintenance agreements offer routine system servicing & maintenance. Our expertly trained service technicians will inspect your system twice annually or once each quarter to ensure it runs properly. Having a maintenance agreement means your air conditioning or heating system will be kept running at peak performance year round and is ideal for homeowners or businesses that want the peace of mind in knowing their HVAC investment will last for years to come. Many people wonder how maintenance agreements enhance the manner in which their systems operate, improve energy efficiency, and save money by preventing needless repairs in the future. Biannual checkups of heating and AC systems allow for diagnosis and resolution of minor issues before they create problems during extreme weather. 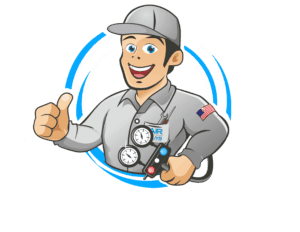 Our heating and air conditioner repairs carry a one-year warranty. If the same part fails within a year, repair or replacement is at our expense, not yours. You save on system replacement. When it’s time to replace your AC system, maintenance agreement members are given up to 100 percent of the cost of POM as a discount.